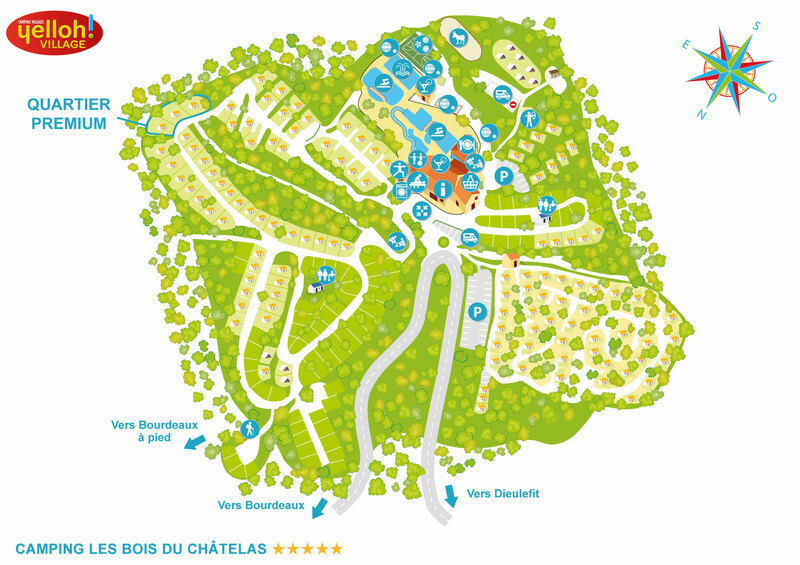 You'll never run out of things to do on your camping holiday at les Bois du Châtelas! With regard to entertainment, archery and aquagym lessons are available, as well as sports outings. And when the evening arrives, come and see the shows! There'll be something for everyone, whatever your age! Entertainment schedules may be different in low season, so please enquire on site. The Vercors is a region in which lush hills and sheer cliffs create magnificent landscapes which you can enjoy on foot, by mountain bike or by canoe, via the Drôme river. You can also stroll through the local villages such as Bourdeaux. This small village overlooking the Bois du Châtelas campsite has succeeded in retaining its Provençal essence. Just 45 minutes away is the unmissable location of Montélimar, and the opportunity to try some of its famous nougat, for which it is renowned. Enjoy a getaway to the Nyons region! Well-known for its laid-back lifestyle and sun-drenched climate, this town is also known as "Petit Nice". Bathed in sunshine and intoxicated by the scents of the lavender fields, you'll also be blown away by the beauty of the surrounding olive groves! And for more energetic visitors, the Acro Pôle adventure park is a leisure centre that will be highly popular with people who enjoy adventure tree-climbing, climbing, paragliding, orienteering and other hiking activities. And for an afternoon together with the family, head for the crocodile farm at Pierrelatte, where you'll be able to see around 400 different species of reptile; or head off in the footsteps of the Comtesse de Sévigné when you visit the Château de Grignan. The town and its château make up some of the most important reminders of the region's historic heritage.